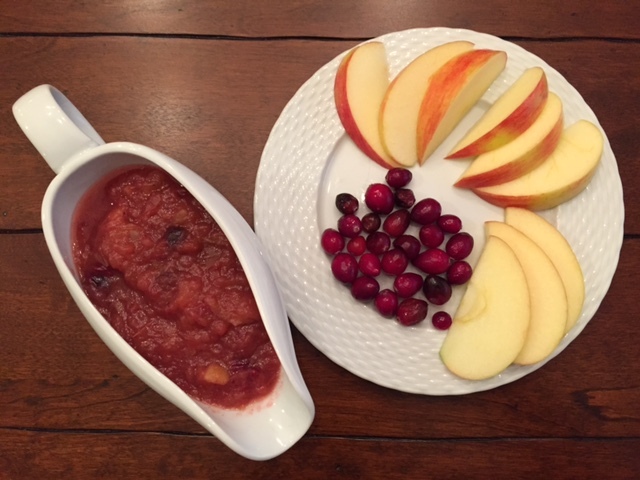 It’s the 21st of the month, so that means today’s recipe for Slow Cooker Cranberry Applesauce is inspired by The Recipe Redux! 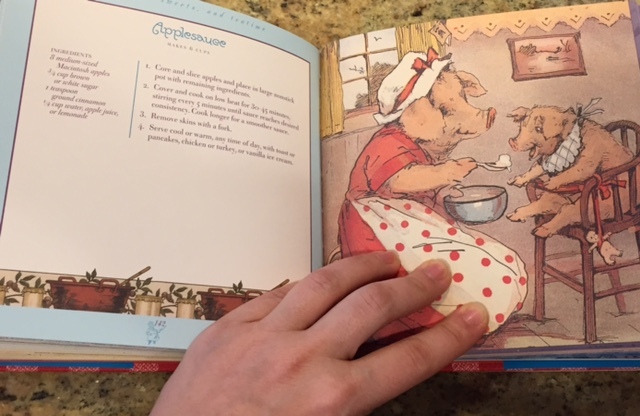 This month’s theme is centered around cookbooks: take one of your favorite [or closest] cookbooks and ReDux the recipe on page 42 or 142 [the ReDux has been around for 42 months!]. 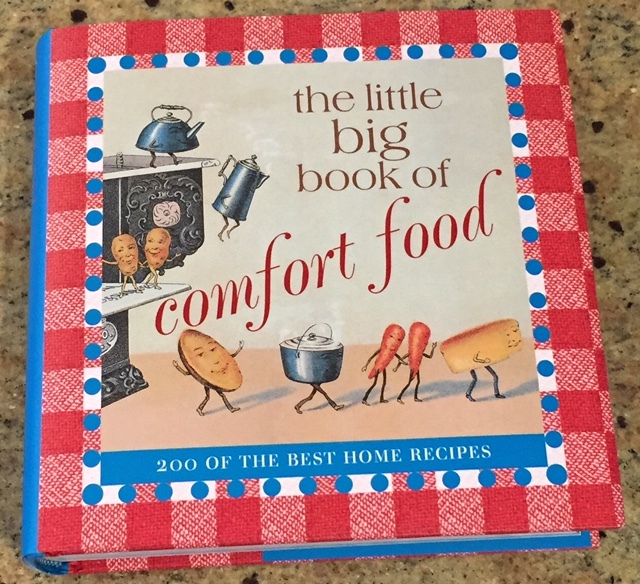 I naturally gravitated to one of my favorite cookbooks, the Little Big Book of Comfort Food. This cookbook serves a dual purpose for me: it acts as a decoration in my kitchen, and provides me with a LOT of kitchen wisdom surrounding classic, comfort food recipes. I turned to page 142 and knew I had to ReDux the classic applesauce recipe. Joey LOVES applesauce…. This cookbook is fun to read and cook recipes from! My favorite kind of cookbook! I decorate with LOTS of cookbooks in my kitchen. What you might not be able to see is that this recipe has 1 cup of sugar added to it! Wowza! 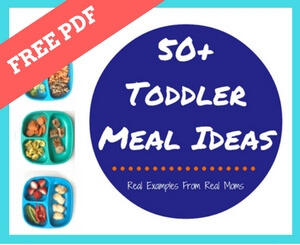 Applesauce is the PERFECT baby and toddler food, if made right. And baby, it’s SO easy to make! 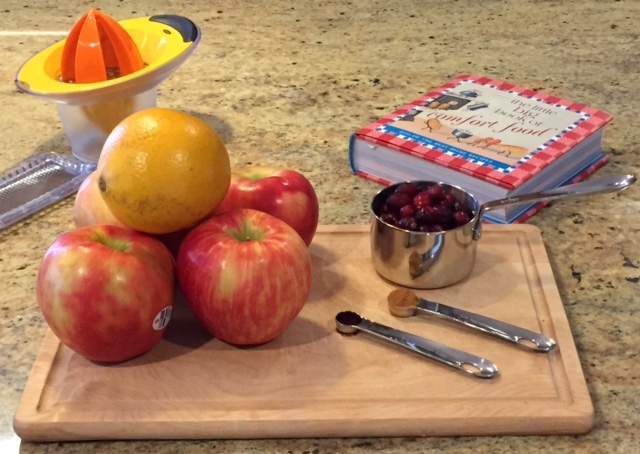 I like making my own applesauce because I can control the ingredients— such as adding less or zero sugar, and mixing different fruit combinations. 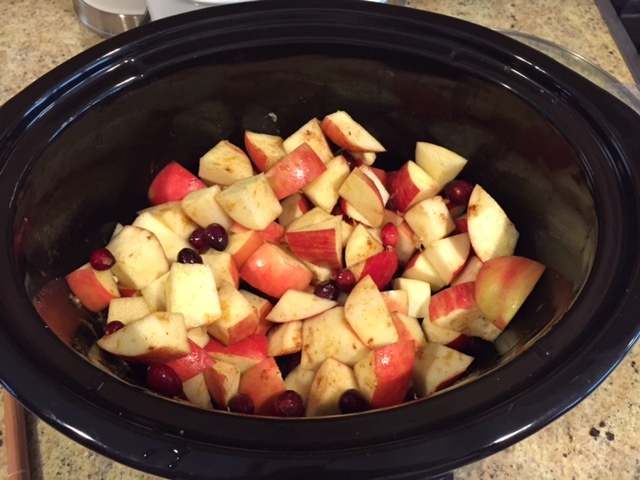 So here’s my two-step version: Slow Cooker Cranberry Applesauce! Add all of of the ingredients to your slow cooker. If the juice you reserved from the orange does not equal ¼ cup of liquid, add enough water to do so. Cook on high for 3 hours or low for 5-6 hours. Mash to desired consistency with an immersion blender, standard blender, or with a fork like I did! For little kids: Eat as-is, spread on a toasted english muffin or buttered toast, mix with plain yogurt. For big kids: Serve with pork chops or pork tenderloin, roasted turkey, or chicken. We like our applesauce a little bit chunky… feel free to puree in a blender or use an immersion blender once the ingredients are cooked! If you can’t find cranberries in your grocery store, I’d suggest using pears, oranges [hey, then you won’t need to juice that orange! ], or any berry you are in the mood to cook with! The best part? The fruit has lots of natural sweetness so you don’t need the extra sugar, IMO. Have you ever made homemade applesauce? If so, what flavor combinations have you tried?! Check out ReDuxed recipes from other Recipe Reduxer’s below! What an adorable cookbook! Love all the illustrations ;). Love making applesauce in my slow cooker, and next time I shall def try adding cranberries! Mmm, oh how I love some good cranberry sauce. And I love using fruit as a natural sweetener! Loving the combo of apples, cranberries, AND orange! It’s my fav winter fruit combo! 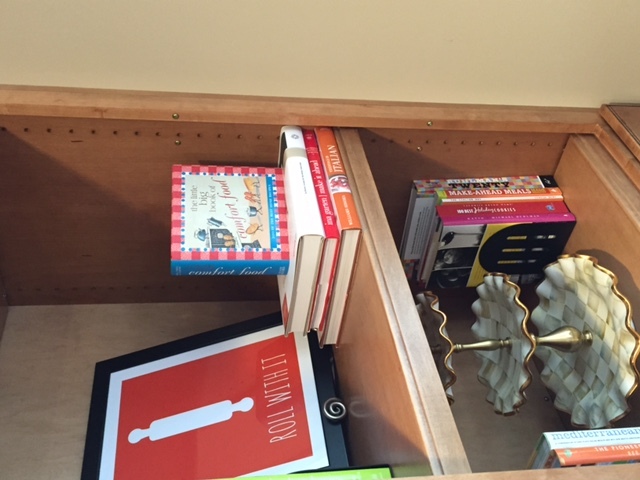 Love that you showed how you display cookbooks…and the cute photos in the book. The addition of cranberries is perfect for right now. My mom used to make applesauce in the slow cooker to keep it from boiling over on the stove… thanks for the reminder! I will have to try out this version with cranberries. You can’t go wrong with homemade apple sauce. It was pretty tart courtesy a la cranberries. But no one seemed to mind here! Yum. So simple and easy too.